Mexican food has a long history, some say it's earliest influence was from the Mayan Indians. Spanish has been the major influence, but there were also assimilations with other cuisines such as; Caribbean, West African, Portuguese and French. 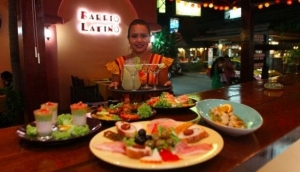 There aren't too many Mexican restaurants in Koh Samui, but the ones we have are very popular. Who can resist a tasty sizzling Fajitas washed down with a frozen margarita?